Inspired by the passionate, pioneering spirit ofÂ [Davidoff] Â founder, Zino Davidoff, and led by Master Blender Henke Kelner, [Davidoff]Â tobacco masters were tasked with seeking out an intense, new and original blend that would stimulate both the bitter and sweet taste buds. 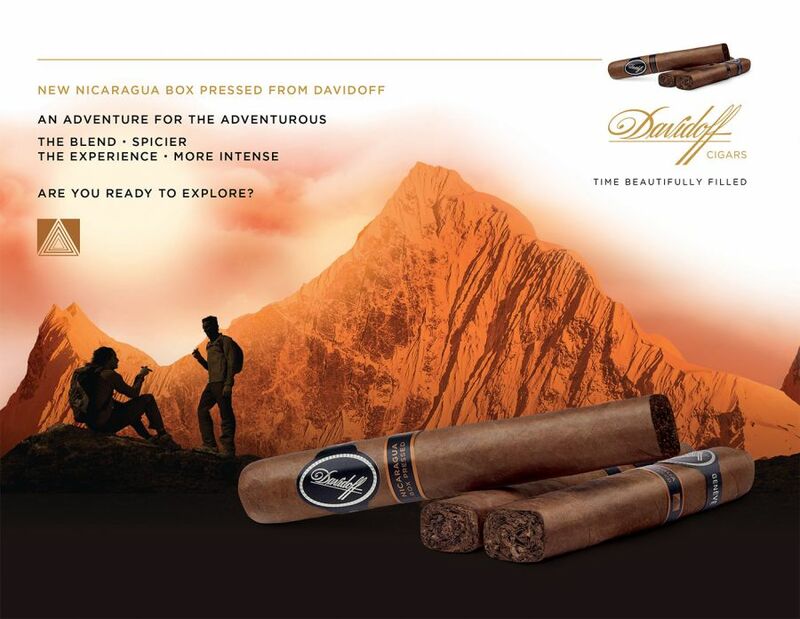 Introducing Davidoff Nicaragua Box Pressed: a cigar which brings uncharted territories of taste, stirring the senses of those who discover them. The spice has been boosted with a fiery Esteli Ligero leaf that complements aged Jalapa, Ometepe and Condega tobaccos for a complex bitter sweet palate stimulation. A richer, sharper Habano Nicaragua Oscuro wrapper then rolls the experience into a dynamic box pressed format to liberate enhanced flavours and aromas. Davidoff Nicarauga, 100% Nicaragua, the much acclaimed creation no takes you on a new, more extreme flavor journey. An adventure for the adventurous. Are you ready to explore? This entry was posted in News and tagged Box-Pressed, Davidoff, New Release, Nicaragua. Bookmark the permalink.